Taking a road trip through Costa Rica gives you the freedom and flexibility to explore where you want. You'll pass through stunning natural scenery — from lush cloud forests to picturesque beaches — in seven days of scenic driving. This tour can be extended or shortened depending on how much time you have. Are you planning a trip to Costa Rica? This itinerary is designed to be flexible so you can take advantage of having your own transportation. SUVs and other vehicles suited for rough terrain can be rented near all major airports (with an additional tax) and from other large companies such as Alamo. It's best to avoid smaller companies running special promotions, as those deals are often too good to be true and will come with hidden "insurance" costs. 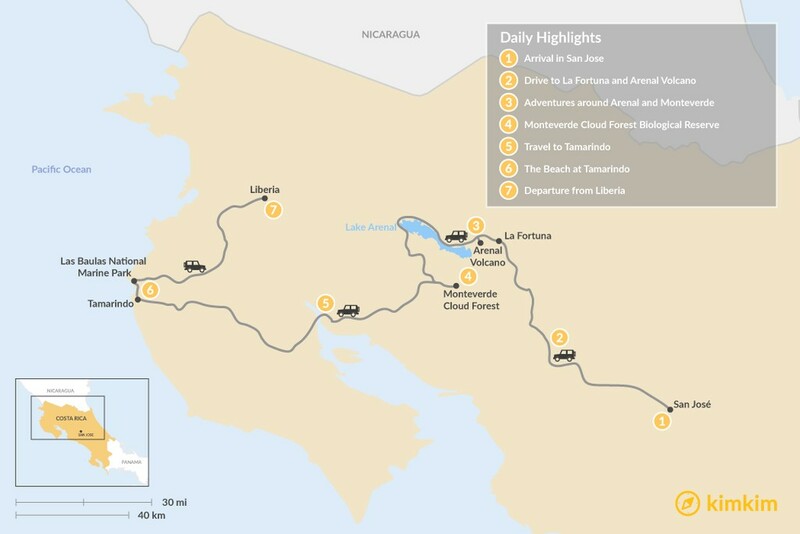 Given the small size of Costa Rica and how accessible it is by vehicle, you'll be able to visit the jungle, volcanoes, and great beaches in the same 7-day trip. If you have a few extra days, think about adding a day or two in Monteverde or Tamarindo. If you have less time, choosing between Monteverde and Arenal is a good idea. Welcome to Costa Rica! Arrive in San José, and if your flight arrives earlier in the day, head downtown and take your time to explore the city. Costa Rica's capital features a plethora of impressive plazas and historic buildings, all of which are accessible to tourists. 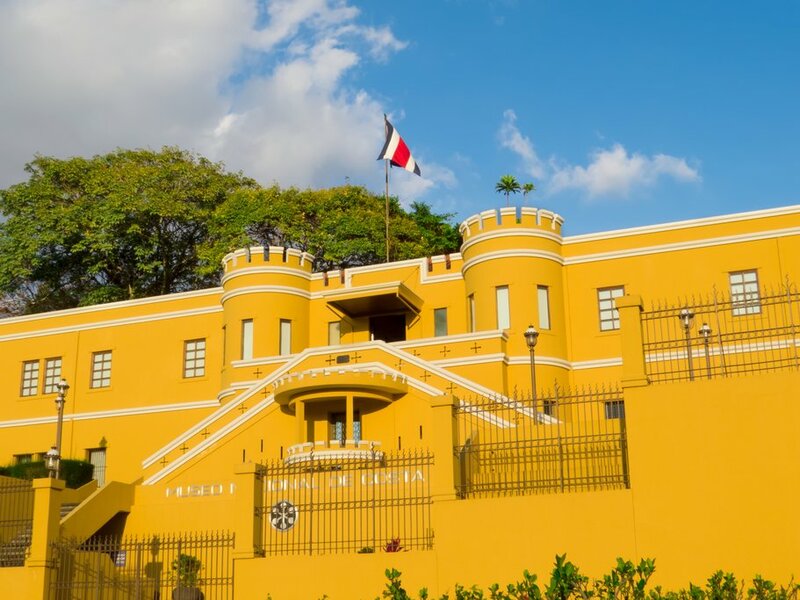 For starters, tour the Pre-Columbian Gold Museum as well as the post office building. If you are interested in architecture, you should visit the Teatro Nacional (National Theater), often said to be the grandest building in the entire city. Also, check out the National Museum, a transformed military barrack painted in a dazzling golden color. Leave your hotel after an early breakfast and start driving towards Arenal Volcano. There are many interesting places to stop over on your drive to Arenal, take some time to explore one of them. Zarcero Gardens. Zarcero is a small town that is known for their topiary gardens located just in front of the church. No, Edward scissor hands didn't have a role in their making, it was created by Evangelisto Blanco in the 1960s. Hang out with the Dinosaur, elephant and other animals and shapes cut from the bushes for some photo ops, and grab some lunch before continuing on your way. Drop off your luggage at the hotel once you arrive in La Fortuna, the regional hub near Arenal Volcano. Spend the afternoon zip lining, crossing hanging bridges, and walking through jungle trails, while admiring views of nature and the volcano itself. Then, relax after a long day by going to the Tabacón Hot Springs and Resort, a set of natural pools in an ideal tropical alcove. After a refreshing soak, return to your hotel for the night. 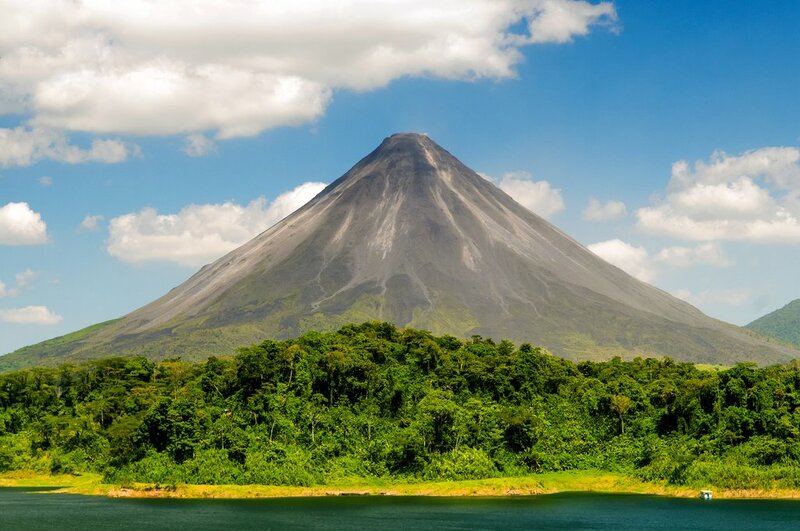 This morning, try some extra activities around Arenal National Park before we hit the road. The options are endless, from white-water rafting to mountain biking, horseback riding to hiking the Rio Fortuna Waterfall. 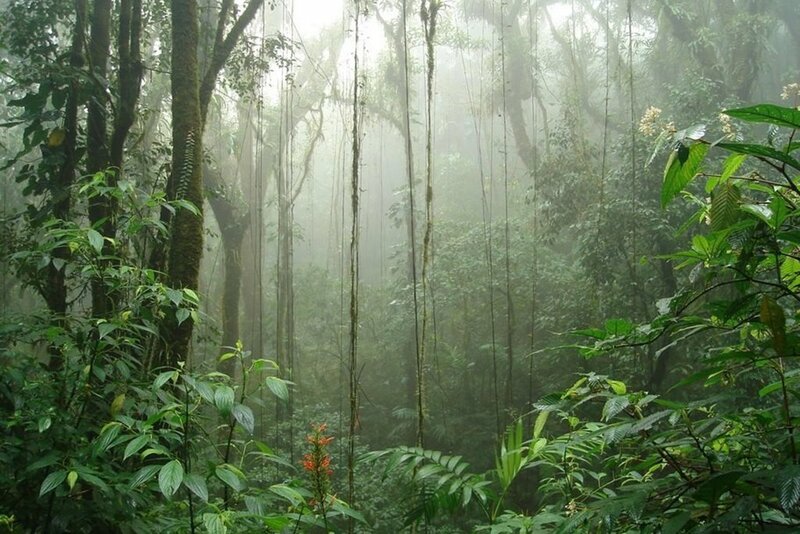 Next, head to the Monteverde Cloud Forest, 4 hours away by car. The drive will go along a road that curves around Lake Arenal and you will get stunning glimpses of jungles and lush hills. Parts of the journey will pass through foggy conditions and unpaved roads, so be sure to leave yourself plenty of time to get there to Monteverde before sundown. Rest up and prepare for tomorrow’s engaging ecotour. 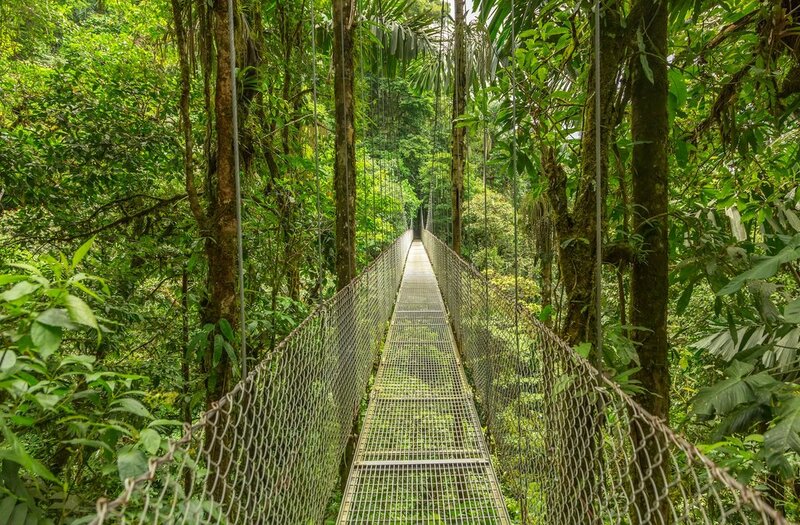 Wake up early for a comprehensive tour of the Monteverde Cloud Forest Biological Reserve, a unique rainforest ecosystem and one of the world's most biodiverse regions. Venture into acres of virgin forests and see a wide variety of rare animals, including quetzal birds, amphibians, three-wattled bellbirds, sloths, and monkeys. Make sure to bring a light extra layer, as the temperature regularly reaches a daily high in the mid-60s (F). Additionally, frequent showers can make the ground quite wet, especially in the summer, so rain and hiking gear are also highly recommended. 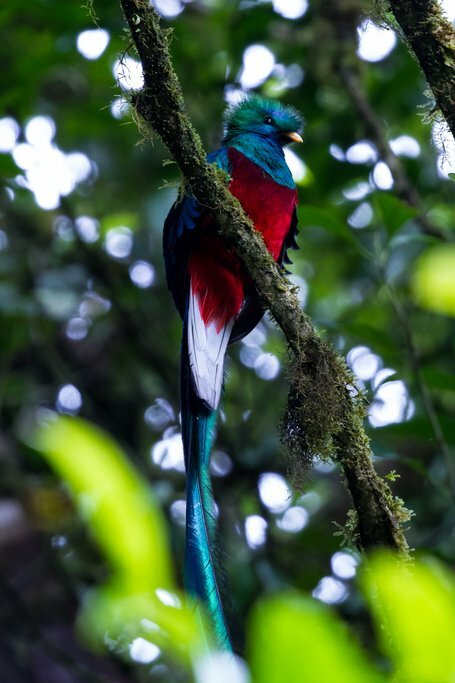 Spend the morning in Monteverde, a good opportunity to fit in any activities that you weren't able to fit in yesterday. Make sure that you book your activities early, as you want to hit the road by lunchtime to get to Tamarindo at a reasonable hour. Total drive time is around 4 hours. 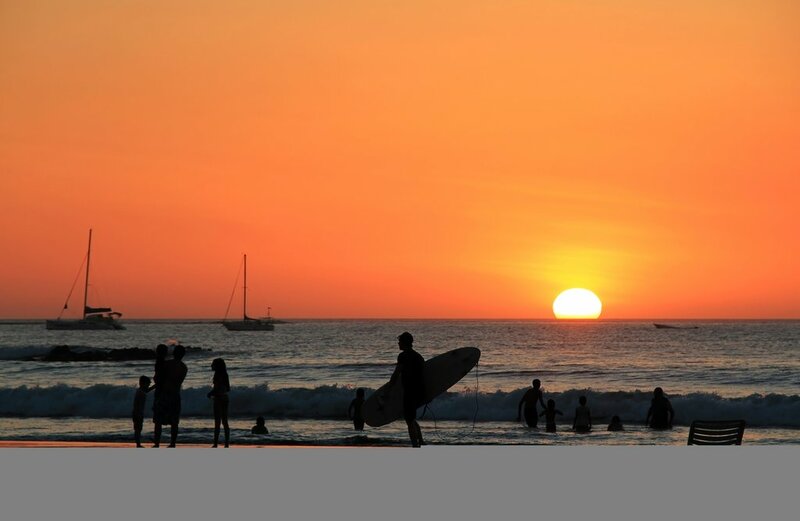 Tamarindo is a small beach town with only 500 inhabitants, but in peak tourist season this number can swell up to ten times as much. It's best to visit during the dry season from November to April, as the weather will be pleasant and rains can be avoided. In the months of November and December, waves up to 12 feet high crash into the shores, making it the perfect challenge for experienced surfers. Once you get into town, take some time to wind down and watch the sunset on the beach before calling it a night. 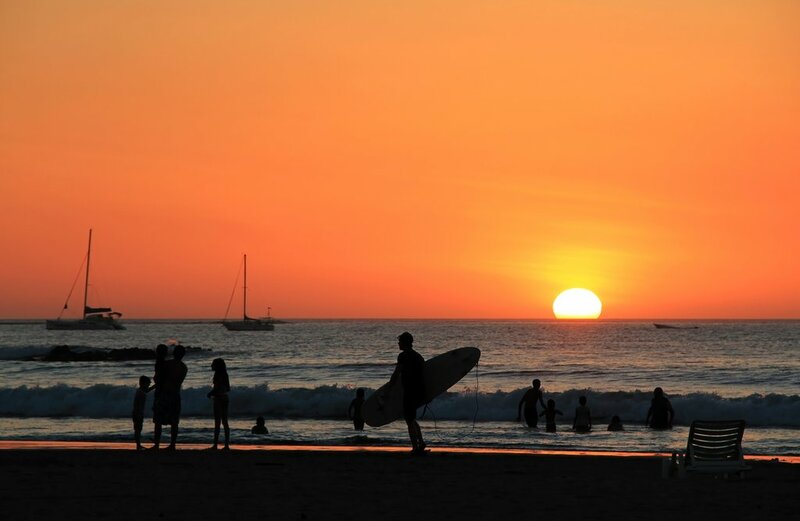 Today, it's time to fully experience the white sand, seaside breezes, and delicious food of Tamarindo Beach. Spend the morning swimming and tanning, or try surfing, snorkeling, or scuba diving by taking some local lessons. When lunchtime comes around, hundreds of food stalls cooking up Costa Rican street delicacies are only a short walk away. Be sure to browse the stalls and check out the interesting trinkets offered for sale. Once the daylight has faded, go on the Leatherback Turtle Tour at Las Baulas National Marine Park for a truly memorable adventure if you happen to visit between October and March. 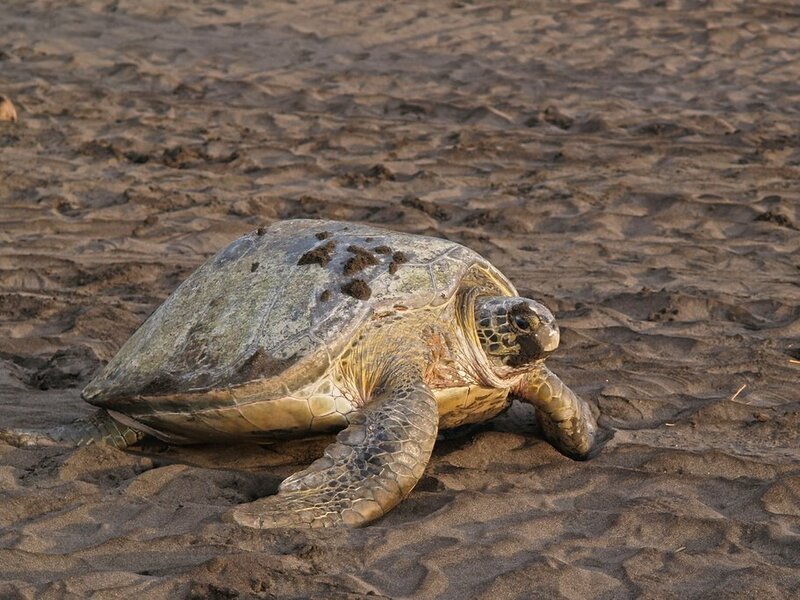 Every night in season during high tide, female leatherback turtles make their way up the beach to lay eggs. Remember to reserve a guide in order to legally enter the beach area at night and refrain from flash photography. Watch the turtles come and go, or hatchlings head to the water for their first swim, is a once-in-a-lifetime sight. Unfortunately, the time has come to say "adiós" to Costa Rica. Drive the to nearby Liberia airport to fly back home. 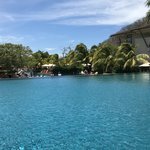 Looking for otherself-drivee tours in Costa Rica? Driving yourself could be a great way to explore Costa Rica. 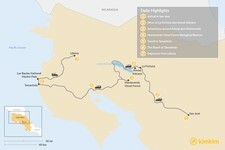 Check out some of our other https://www.kimkim.com/sc/costa-rica-self-drive-toursself drive tour ideas. Costa Rica is a beautiful country with extremely welcoming and genuinely nice people. Overall we had a nice vacation in Costa Rica but mostly because we were able to roll with the things we found disappointing. We found that all the tours/adventures booked for us by Randall were excellent. The tour guides were extremely knowledgeable and the tours/adventures themselves were well executed. The guides were always on time and went out of their way to be welcoming. The accommodations were from OK to terrible. The Country Inn in San Jose was fine. There was no real restaurant to have dinner at night. The casino next door that did have dinner, was not an appropriate place to have my young son visit. The hotel in La Fortuna, was serviceable. We did not enjoy the bunkhouse feel of the room. Although the grounds were nice, the hotel room was just ok. Again, there was no restaurant for dinner and we had to walk to town in the dark when we arrived, not knowing where we were going. Finally, the hotel in Puerto Viejo, the Cariblue, was terrible. Even though we switched rooms, the second room had roaches, had a shower that didn't drain well, curtains that didn't provide privacy and was generally built with old shoddy materials. It was really depressing. And although it had views of the ocean, they were across a busy road with loud motorcycles, construction trucks and other vehicles. It was very loud all night. We did call Coast to Coast about our disappointment, but nothing was done. We felt trapped and frustrated. I have to say that in my dealings with Randall prior to our trip, I felt he tried very hard to meet our expectations for our trip. However, we obviously were not on the same page (with him or Kim Kim) regarding what I wanted for our vacation in terms of accommodations and beach feel. We expected to stay at much higher quality hotels, like at the Tabacon where we enjoyed the hot springs. And, the Caribbean side was not what I was looking for during the "beach" portion of our vacation. We found the Caribbean much more suited to the "surfer" crowd and was not appropriate for the family vacation we wanted. It was a real party scene and not the tranquil wide open beaches we were hoping to relax on. Most of our tour guides told us that that would be found on the Pacific side. We were really upset that we spent most of our time on the Caribbean. Also we also did not realize that we would be in a van for over 12 hours (at least 4 hours through a congested commercial area that was not very attractive) getting from one location to another. I wished that had been made clear. In terms of our dealings with Coast to Coast in Costa Rica, I have mixed reviews. Our driver, Jose, was always on time, was very knowledgeable and stopped at restaurants he knew along the way for lunch/snacks. We really appreciated that. However, we did not enjoy being in his older, loud van for 8 hours. We also found him to be an aggressive driver and he seemed upset when we told him to be more careful. We also found him moody, especially after the trip back to San Jose, after we had complained about our hotel to Randall. This made for an unpleasant ride back. I put the blame on Kim Kim, Coast to Coast and myself for not discerning or appropriately communicating what we were getting/asking for. You should let your customers know that you provide middle of the road accommodations for a middle market. I will not recommend any of your companies to my friends.